All Aboard the Soooouuullll Train! — Art with Ms. Y. All Aboard the Soooouuullll Train! We love dancing! There’s no better way to see some amazing moves, crazy costumes, and hear some funky music than watching Soul Train. We had our own dance party with this activity in which we made a dance floor of our own. This activity can be done with colored pencils, crayons, or thin markers. Since we’re working on 8.5x11 paper, I cut one pipe cleaner in half rather than using two full pipe cleaners per person. This way they’re small enough to make more dancers on the dance floor. Put the person in a fun dancing position and trace. 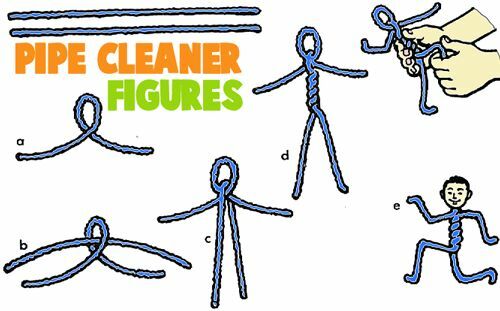 Next, make the pipe cleaner person do something else, and trace again somewhere else on the page. Do this again and again until the dancefloor is full. Then color cool outfits, crazy hairdos, funky shoes, and wild jewelry. Swing your arms, lift your leg, bend your knee, go left, go right, do the splits… showcase moves in every which direction and express yourself with hair styles, fun shoes, and added accessories. Kindergarteners loved this project, and so will older students. Add sparkles and designs in the background and color the letters too. Superheroes like to dance too!